You cannot compare the artwork of Theo Jansen with the following: when you are amazed by the sighting of a heavenly body and you still know that it’s been extinct for millions of years. 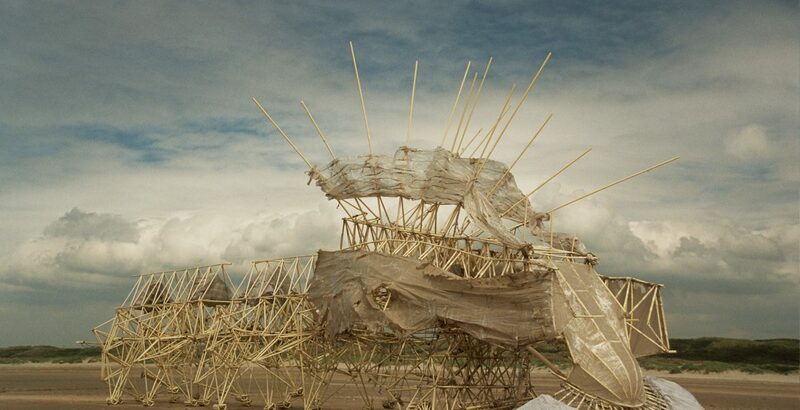 He merges sculptures and kinetic engineering in order to give life to his “Strandbeest,” which defies evolution from the Dutch coasts. There’s no doubt that is easier to blame imagination than accepting what our eyes see, especially if we see new forms of life that are stimulated by the wind. These forms pass by the beach and are guided by instinct and a mind whose binary step counter allows the change of the zero patterns. This also changes the actions of these forms in relation to the tides and its natural enemies: the storms. It’s not a mystery that, when high tides high come, the forms need to find protection. They may need a bolt on the ground in order to avoid being dragged and then drowned. Luckily, these forms travel many times like flocks and this helps its survival. This is also granted due to its capability of storing energy through its wings, which pump air to bottles with lemonade. With some luck, these bottles can store wind when there’s low wind level. 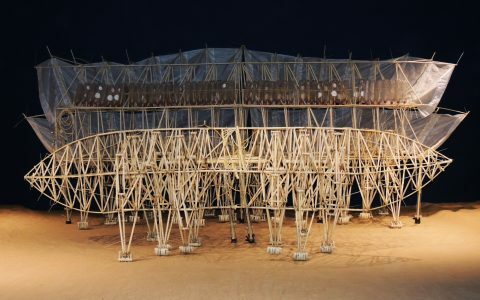 Do not confuse the “Strandbeest” or the beasts on the beach: they are not Meccano or Lego toys that are systematically built when you take a look at a catalog or another renovated version of Nintendo. Not everything occurs by the work or grace of virtual reality. We shouldn’t blame imagination, excepting the global warming and a Dutch artist, who pretends from the 90s to seek a quick solution by creating an animal race that, when moving, remove the sands of beaches. This is because the sea creates high tides that threaten to move back the limits of our land until it returns to the place that it had in the Middle Ages. Theo Jansen (1948, Scheveningen) is an engineer and scientific from the Delft University of Technology. From the moment that he played with the rudimentary Atari, he has been determined to create colossal sculptures: creatures. These are built according to improved genetic codes by means of a computer program that has the quality to choose “holy numbers.” At the same time, all of that help hundreds of electrical wiring pipes that give the necessary movement to these imposing structures. This also gives room to reinvent “a new tire.” Even though the land is uneven for the axis of the structures, they can maintain a level due to its hooves and can carry lots of weight. Otherwise, the colossal Animaris Rhinoceros –with its 3.2 tons –wouldn’t have a prestigious career together with the Animaris Percipiere, which shows its dexterity and fixes its trunk to stop and puts a bolt if a storm threatens. Jansen from being a contributor of a local newspaper became a scientist. After creating a UFO, he leaves everything behind in order to dedicate time to painting and to invent machines that paint. Then, he decides to create a “new nature” and he perseveres for more than 20 years in his lab-studio located in Ypenburg (Holland). 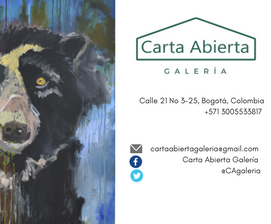 “This is a flock created according to the genetic codes, originating a type of race, where each animal is different and only the wining codes can multiply,” says the artist. This can be proved by looking at their names. Jansen, though he is an avant-garde artist, doesn’t renounce the tradition and turns to the biological nomenclature that he uses to name the animals. This is how he names his Animaris: Currens Ventosa, Excelsus, Geneticus, Percipiere, Sabulosa, Vulgaris, Umerus, Ordis, Currens Vaporis, Rhinoceros Tabulae, Percipiere Primus, and so on. Maybe there are more of these that are about to evolve or to fossilize. Jansen is close to the principles of natural selection: each new Animaris inherits the virtues of the prior one until its capacity of survival allows it to be one day an autonomous being and to live by its own in another natural environment. It’s not strange that Jansen’s desire becomes totally true. 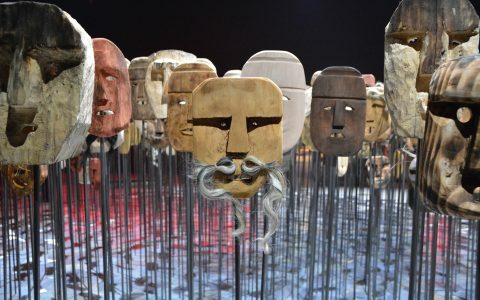 He has slowly taken control of his life, something that has been perfect for the things that this kinetic sculptor do, someone who is famous on social networks. He has been called by TV programs, magazines so dissimilar as The New Yorker, The New Scientist, and Wired. He has also been invited to museums, technological parks and very important exhibitions as the 5th anniversary of ArtFutura, the festival of culture and digital creativity in Tecnópolis (Buenos Aires, Argentina) during 2012. Even with the cooperation of the Japanese and landscape designer Eiki Danzuka, Theo Jansen presented in 2013 an exhibition called Theo Jansen + Earthscape. This installation includes the use of sand, pieces of wood, flora from Scheveningen, and pineapples from Oita. This is how these artists recreated the natural environment of the forests from Oita and the beaches from Netherlands. This is just the beginning of a new path because now the exhibition of Theo Jansen is taking place: there are amazing creatures in Espacio Fundación Telefónica (Spain) from October 2015 to January 2016.